BSA Bayern 06B win State Cup! 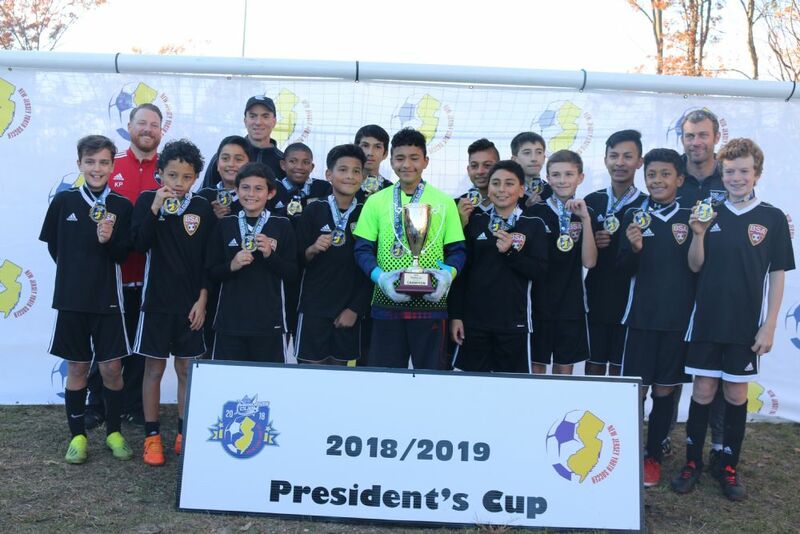 Congratulations to BSA Bayern 06B for winning the NJ State President's Cup! The President's Cup is a national tournament that is designed to create a high-level competition for teams that are looking to play against teams of similar abilities, where those teams that advance will play for a regional or possibly a national title. After advancing with a 2-1 win over STA in semi-finals, the boys had a hard fought 3-2 win over Matchfit in the finals. Congratulations and good luck the rest of the way!